View Cart “Topcon DT-209L Digital Laser Pointer Theodolite” has been added to your cart. 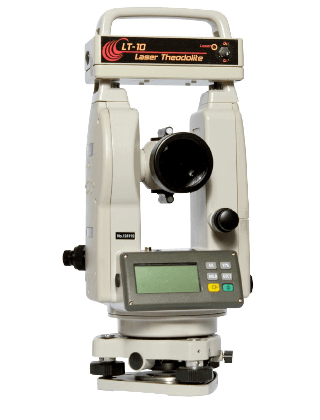 This Theodolite is a 10-second instrument with the main difference when compared to a regular theodolite is the addition of the laser unit on top. The laser emits a plumb vertical line that is calibrated to the crosshairs in the theodolite. The laser has a pulse function that mimics a rotating laser so that it can be used with laser receivers when the beam would not be visible (outdoors for example). The use for this instrument is primarily for plumb applications (erecting concrete tilt-up wall construction, grain elevators, and so on) the advantage over a regular theodolite is the ability for the worker at the other end to have immediate feedback via the laser.